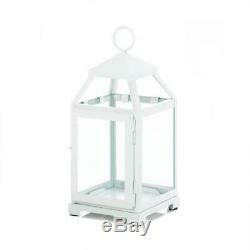 The other sized lanterns in the photo are available separately in our store and are not included. Loop at top for hanging; can also stand freely on table or shelf. Crafted of iron and glass. Each measures 5½" x 5" x 12 high. 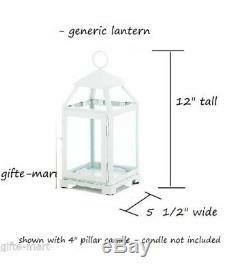 You will receive all the same size/color lanterns. 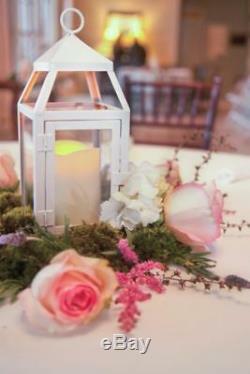 Lantern is shown with a standard sized pillar candle - measures 3" x 4" - not included. Please inspect items upon receipt - we must be notified of any damage or defects within 7 days of receipt. 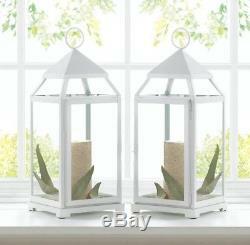 The item "6 bulk white 12 Malta modern Candle Lantern holder wedding table centerpiece" is in sale since Tuesday, January 2, 2018.